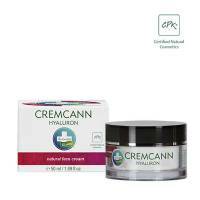 This cream without the added fragrance will be appreciated especially by women with sensitive, mature skin. It is suitable also for the sensitive eye area. 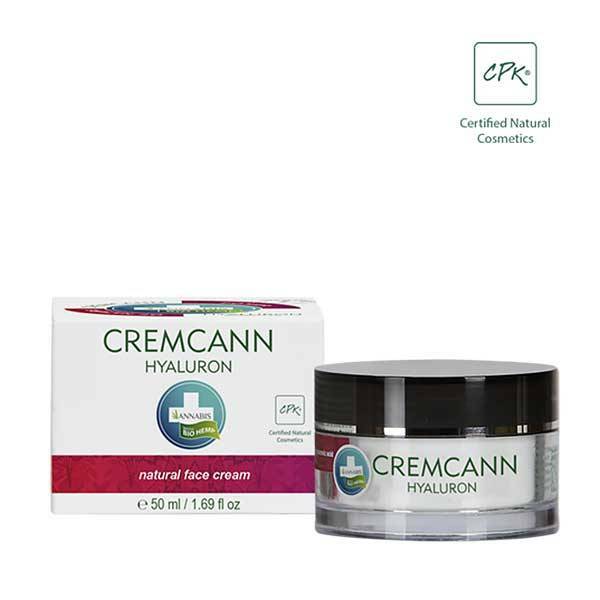 Skin cream Cremcann Hyaluron, with high content of Omega 3-6 unsaturated fatty acids in a unique combination of hyaluronic acid and active plant extracts, noticeably regenerates the skin. Thanks to the hyaluronic acid is your skin hydrated and supple. If used regularly, the cream reduces wrinkles and skin appears fuller with improved contour. The cream is suitable for all skin types, including the sensitive one. It is particularly suitable for mature skin. Thanks to its fine consistency, the cream is quickly absorbed and can be applied under make-up. Instructions for use: cream is designed for the daily care of the skin of your face, neck and décolleté. For best results use twice a day after washing and make-up removal respectively. Ingredients (INCI): Aqua, Petrolatum, Cetearyl Alcohol, Cannabis Sativa Seed Extract, Paraffinum Liquidum, Cannabis Sativa Seed Oil, Sodium Cetyl Sulfate, Sodium Hyaluronate, Ascorbic Acid, Amyris Balsamifera Bark Oil, Citrus Aurantium Dulcis Oil, Lavandula Angustifolia Oil, Pelargonium Graveolens Oil, Methylchloroisothiazolinone, Methylisothiazolinone.